Richard Hudspith, Clinical Somatic Therapist, has a passion for teaching people to understand the functionality of their own body. To feel how they move and learn how to relax muscles to feel comfortable in their body. He believes that once we learn and understand what it feels like to relax in our body, it becomes easy to return to that sensation, even when we feel tired, stressed or tense. His goal is to give his clients tools that help them to become self-sustaining in their own body and to walk with SWAG. Richard Hudspith attended UBC and received his BPE in 1990 and his B.Ed in Elementary Education in1994. He went on to achieve his MA in Human Systems Intervention at Concordia in 2006. He studied Somatic Education at the Duncan Wellness Centre in BC, to become a Certified Applied Somatic Educator (CASE), a qualification recognised by the Novato Institute in California. He has taught yoga since 2008 and will complete his training in Somatic Yoga in November 2018. Richard Hudspith has been teaching Somatic classes since 2008. Before this, he taught Elementary school in Canada and Japan. He also taught English as a second language in Japan. Also, Richard worked as a counsellor in Canada and the US. One of his more creative adventures was spent working as a wedding planner. A car accident when he was 7yrs old left him with severe scoliosis and various other injuries. It was this car accident that was instrumental in directing Richard's journey to Somatic work. After years of experimenting with various modalities, he was introduced to Somatic work by his RMT. 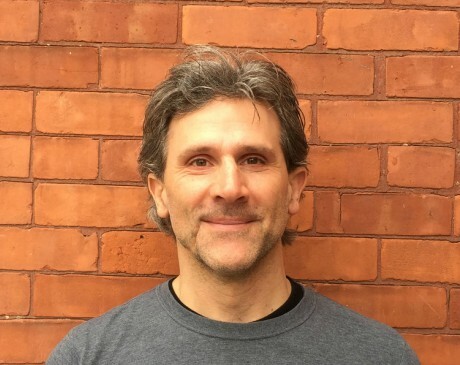 Working together with his RMT and practising Somatics, Richard was able to eliminate his scoliosis and be pain-free in his body for the first time in years. Richard enjoys travelling, scuba diving, motorcycles, meditation and the practice of Kundalini Yoga. He lived in Japan for four years. While in Japan, he worked with an amateur theatre company, and they toured through England, Spain, Malaysia as well as the Edinburgh Fringe festival in Scotland, UK. Richard and his teaching colleagues also travelled to the Philippines to take part in Habitat for Humanity. One of his most memorable experiences living in Japan was climbing Mt. Fuji and watching a magnificent sunrise over the top of the world. Book an appointment with Richard today! Unsure whether Richard is the right practitioner for you. Book a free, no obligation discovery session with Richard to discuss your needs. Call now to book an appointment (613) 230-0998, or book online, up to 1 hour prior to the appointment.